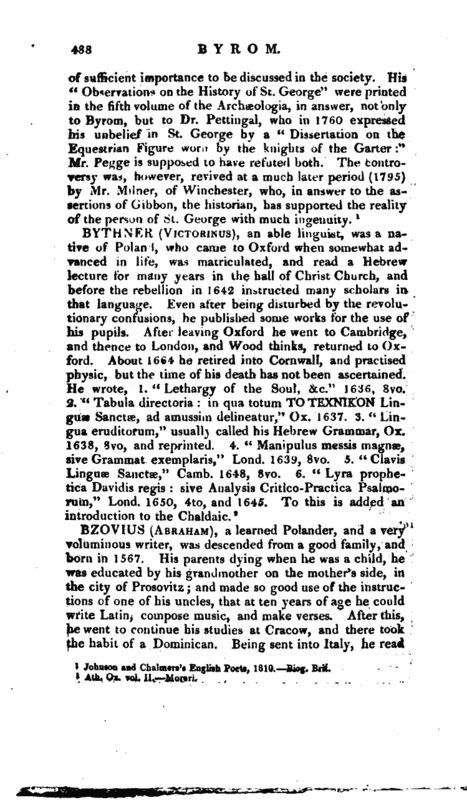 , a learned Polander, and a very voluminous writer, was descended from a good family, and born in 1567. His parents dying when he was a child, he was educated by his grandmother on the mother’s side, in the city of Prosovitz; and made so good use of the instructions of one of his uncles, that at ten years of age he could write Latin, compose music, and make verses. After this, he went to continue his studies at Cracow, and there took the habit of a Pominican. Being sent into Italy, he read | lectures of philosophy at Milan, and of divinity at Bologna. After he returned into his own country, he preached in Posnania, and in Cracow, with the applause of all his hearers; and taught philosophy and divinity. He was principal of a college of his own order; and did several considerable services to that and to his country. Afterwards he went to Rome; where he was received with open arms by the pope, and lodged in the Vatican. From his holiness he certainly deserved that reception, for he imitated Baronius closely in his ambition to favour the power, and raise the glory, of the papal see. His inconsiderate and violent zeal, however, led him to representations in his history of which he had reason to repent. He had very much reviled the emperor Lewis of Bavaria, and razed him ignominiously out of the catalogue of emperors. 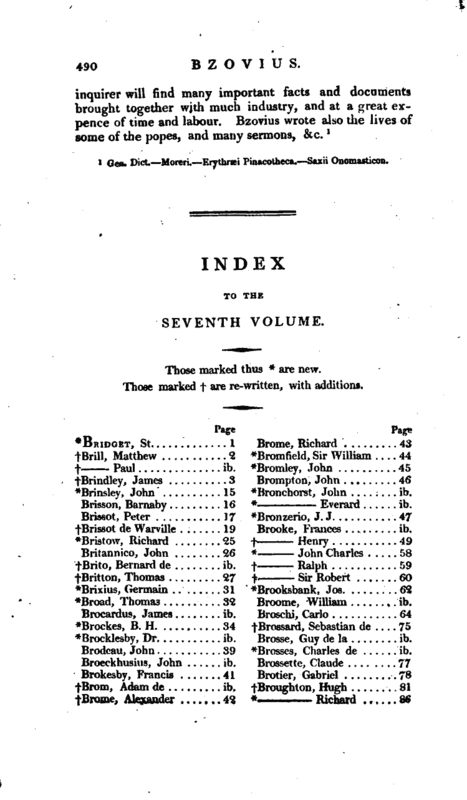 The duke of Bavaria was so incensed at this audaciousness, that, not satisfied with causing an apology to be wrote for that emperor, he brought an action in form against the annalist, and got him condemned to make a public retractation, and he was also severely treated in the “Apology of Lewis of Bavaria,” published by George Herwart; who affirms, that Bzovius had not acted in his annals like a man of honesty, or wit, or judgment, or memory, or any other good quality of a writer. 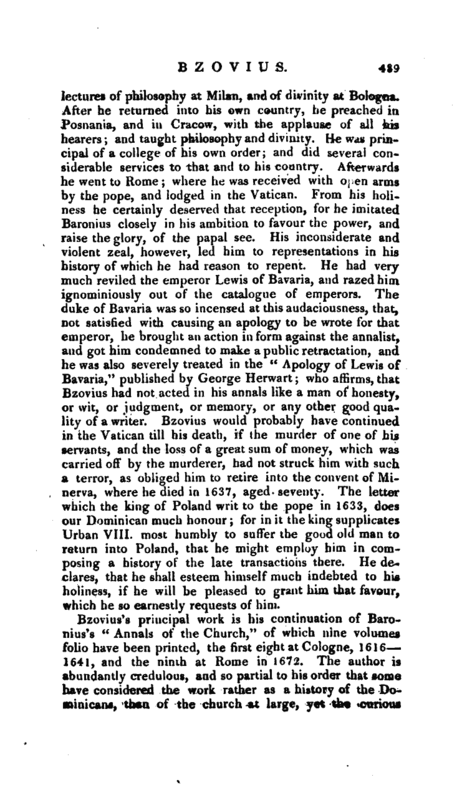 Bzovius would probably have continued in the Vatican till his deat^h, if the murder of one of his servants, and the loss of a great sum of money, which was carried off by the murderer, had not struck him with such a terror, as obliged him to retire into the convent of Minerva, where he died in 1637, aged seventy. The letter which the king of Poland writ to the pope in 1633, does our Dominican much honour; for in it the king supplicates Urban VIII. most humbly to suffer the good old man to return into Poland, that he might employ him in composing a history of the late transactions there. He declares, that he shall esteem himself much indebted to his holiness, if he will be pleased to grant him that favour, which he so earnestly requests of him. Gen. Dict. —Moreri, Erythrsei Pinacotheca. —Saxii Onomasticon.